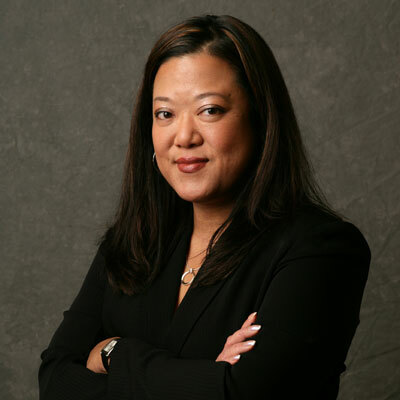 With more than fifteen years of experience in product marketing and program management, Lily Wai has been a trusted expert in the area of the Cloud, Managed Service Providers (MSPs) and partner programs. From evaluating unique partner opportunities to bringing to market new products and business models, Lily has brought SaaS solutions and Managed Service programs to McAfee, to Splunk and now to Qlik. While at McAfee, she supported a $100+ million/year MSP and SaaS business through creating and standardizing partner and pricing models. Whether with software or hardware solutions, with direct or indirect partners, she has help to innovate different ways for partners to create and manage recurring revenue streams. Lily holds a Bachelor of Science degree in Business Administration - Marketing. Currently, she is the Director, Global MSP Programs at Qlik, where she is dedicated to bringing partners a simple, profitable and predictable Managed Services program to grow their services business in Data Analytics. Over the last year, Qlik has focused on a transformation to the Cloud, and to subscription business - which both lend themselves well to a Managed Service Provider (MSP) partner model. For more than six months, I've helped spearhead the pilot in support of Qlik's future MSP program. With my extensive MSP and product marketing background, and through listening to partner feedback, I've help to build structure to our Managed Services' offering, operations, and go-to-market readiness to support the business needs of our Solution Providers, Distributors, MSPs and System Integrators. In support of Qlik as a leader in the Data Analytics economy , I am looking forward to helping partners succeed with their Managed Services platform with Qlik solutions. With the addition of Managed Services into the Qlik Partner Program, I aim to grow a partner's service opportunities and their revenue streams with flexible licensing models and enablement programs to target their small, medium and large enterprise customers. My promotion to a Director has been a goal for me ever since I've been trailblazing in Managed Services. For Qlik to recognize my experiences, trust my decision-making, and value my contributions to the Partner Program, I have been empowered to have a laser focus to succeed in this opportunity for myself, for my company and for our partners. There are many women who inspire me personally and professionally. But I didn't get rooted into the Channels until I met and worked for Donna St. John while at McAfee. Donna has been in the channels for 20+ years and really opened my eyes to partner business models and how partner programs need to be designed to build simplicity, profitability and predictability for partners big and small. And although we are no longer co-workers, her countless anecdotal stories and experiences continue with me every day as I think how best to serve my MSP partners. I actually just gave this advice to my teenage niece as my lesson learned, "the faster you gain confidence in yourself, the quicker you will find success in all things that are important to you." I was a shy kid, but slowly and surely, the collaboration and success that I have built with my network of friends and colleagues have allowed me to become a role model to my nieces and nephews - showing them that Silicon Valley and all its amazing technology, doesn't have to be an intimidating thing if you have the confidence and passion in your work. I would enjoy becoming a Data Analytics master. After working at Splunk and now at Qlik, I see how powerful data analytics is to transform roadmaps and to make important decisions. Even in the daily aspects of my life, I now re-evaluate the "data" that tells me how often I may play "Candy Crush", or what is the average time spent on the treadmill versus calories consumed, or what is the frequency and the expense of my trips to the grocery store. Data is everywhere, and knowing how to analyze it - is a powerful skill. I am a current Golden State Warriors basketball fanatic; but I was a huge fan of the "Showtime" Lakers in the 1980s. I've recently met Kareem Abdul-Jabbar, my favorite Laker player, at his book-signing for "Writings on the Wall" - which I recently finished reading. His book provides perspective on how our American society has become divisive, and I just appreciate Abdul-Jabbar so much more after he went from a champion basketball player, who dabbled in acting, and is a now a best-selling author. My admiration for his sky-hooks now extended to my admiration of his fearless cultural commentaries.